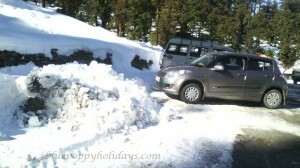 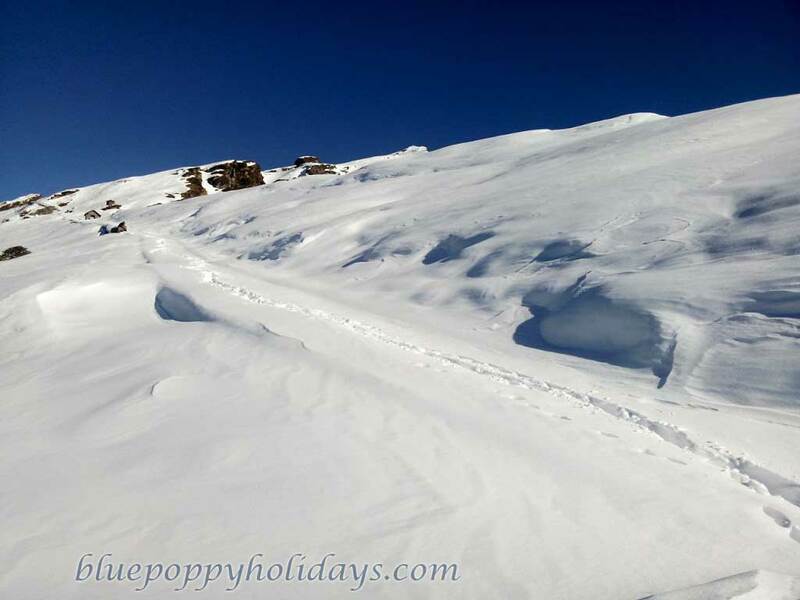 In winters Chopta witnesses heavy snowfall and the main highway connecting Chopta is not suitable to drive due to heavy snow on it. 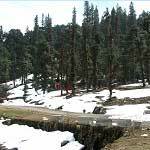 But you can park your vehicle and move on and trek for few kilometers and you will see one of the most beautiful scenes in the world. 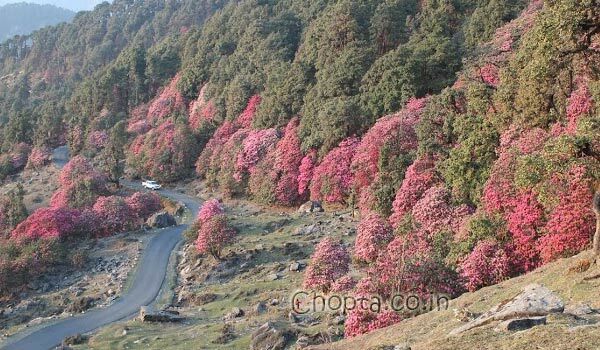 Rhododendron trees form 25% of total trees in Chopta forests. 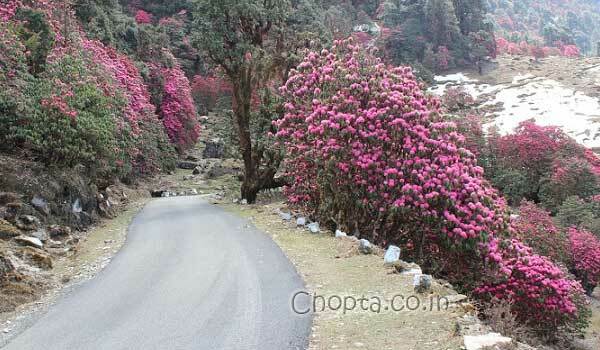 From February to April you can find the forest full of Rhododendron flowers. 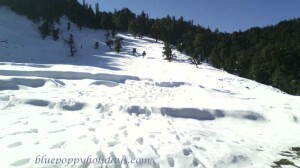 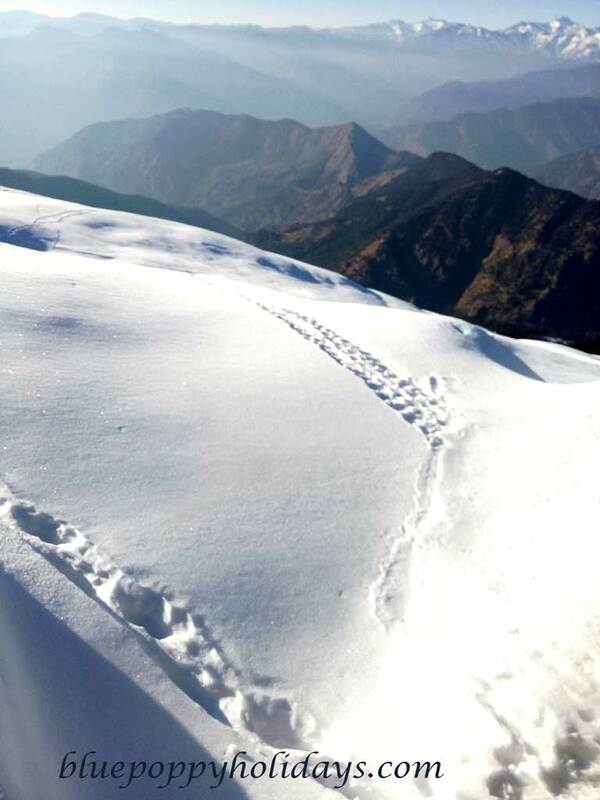 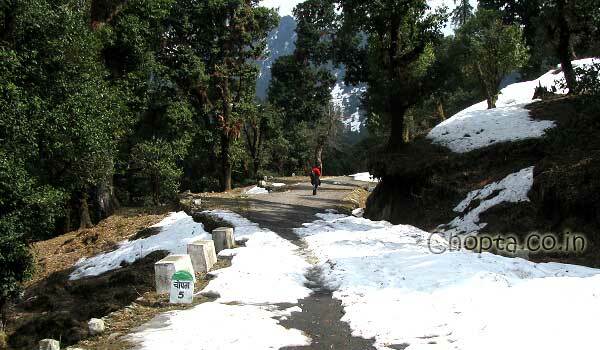 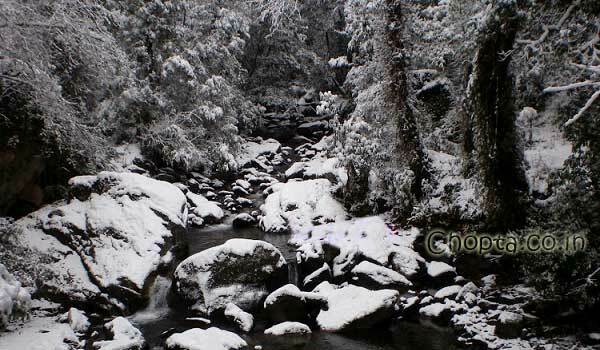 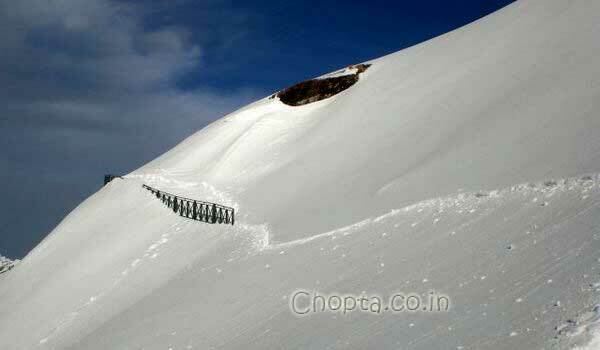 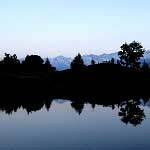 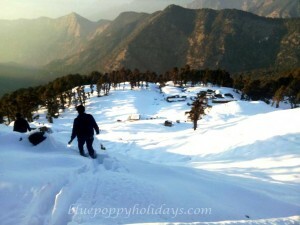 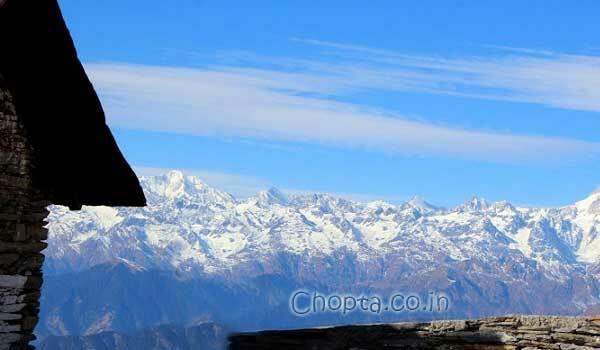 Following is the gallery of pictures taken in Chopta during winters in February, March and April month. 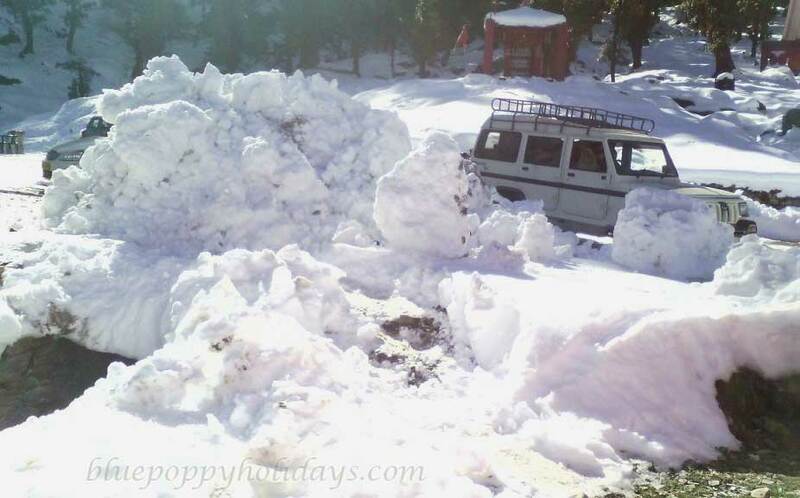 Chopta in winter after snow fall is is not possible to drive on the road, you need to trek further but you will see lot of beautiful landscapes. 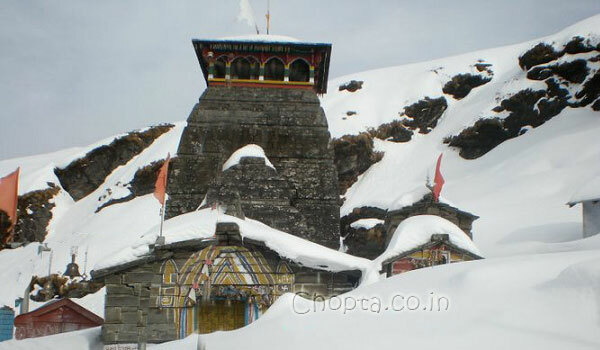 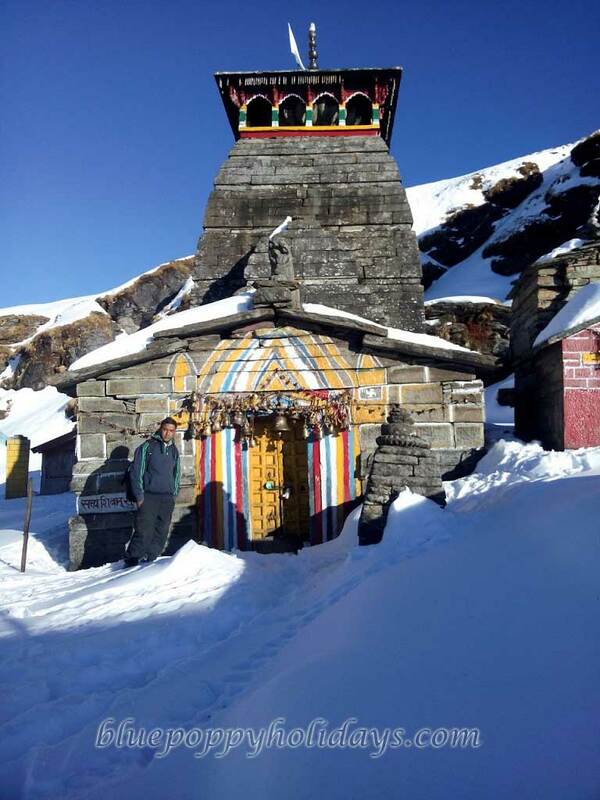 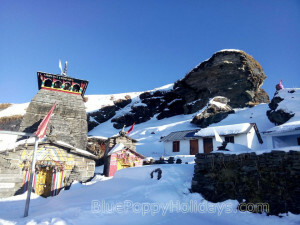 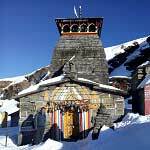 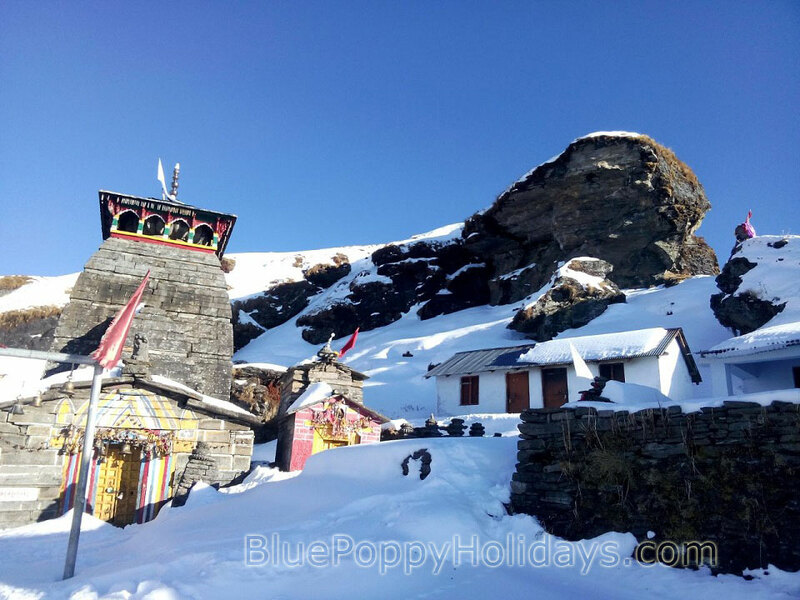 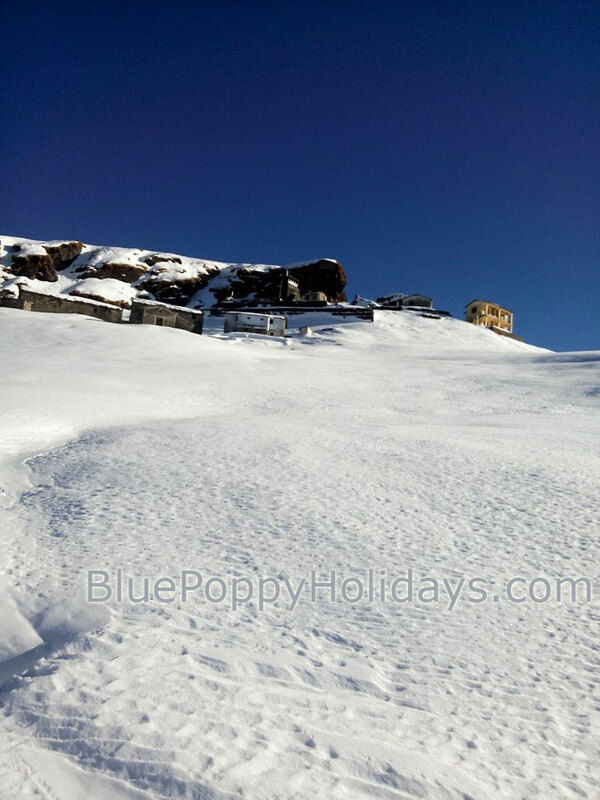 Tungnath Temple in December after heavy snow fall, it is the highest temple of Lord Shiva in the World. 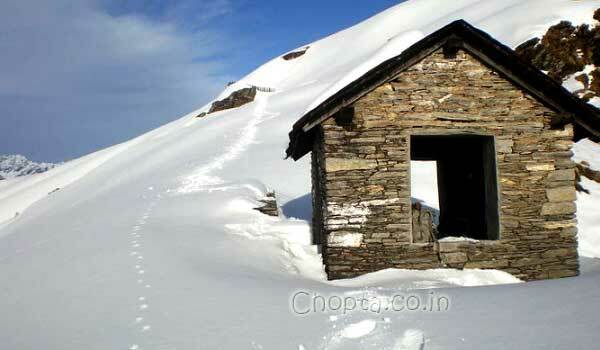 Trek to Tungnath from Chopta in winter season. 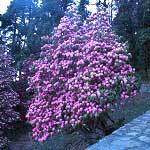 Rhododendron at Chopta, Almost 25 % of the forest in Chopta are Rhododendron trees, from mid February to April the forest is full of Rhododendron flowers. 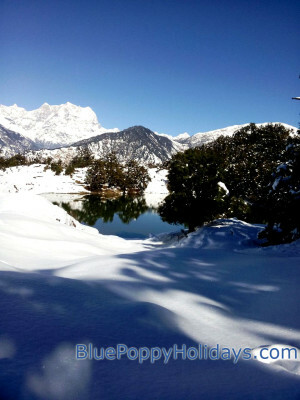 Rhododendron in Chopta, Beautiful landscapes like this can be seen in March every year.